A good estate planning attorney can be worth his or her weight in gold, a lesson a family in Central Massachusetts learned well. As they approached their late 70s, Mr. and Mrs. Gordon were toying with the idea of downsizing from their 45-acre farm. Though they did not have a lot of savings,they and their three grown children did not want to sell the farm and see the land developed. A neighbor had recently sold some land to the MA Department of Conservation and Recreation (DCR) for watershed protection, and they wondered if that was an option for them as well. They began discussions with DCR, which had an appraisal done on about 40 acres that came in at $300,000.The Gordons then had the house and barn and their remaining 5 acres appraised separately, which came in at $150,000. The opportunity to receive money out of the land, while seeing that it remain forever in its present wooded condition, was very attractive, but they also wanted to pass the house and land on to their children without major tax implications. With the help of an attorney with experience in estate planning, the Gordons’ three children established a trust, with one child as trustee. The Gordons entered into a contract with the trustee under which (1) they agreed to sell their entire property to the trust for $450,000; (2) they also agreed to lend the trust the entire purchase price, with the loan secured by a mortgage on the house and land; and (3) the trustee agreed that the Gordons could continue to live in the house rent-free for one year. Since no money changed hands and the Gordons did not have to move out, this transaction was completed quickly and easily. Although the Gordons had purchased the property 50 years prior for $5,000, there was no capital gains tax on this sale because of the exemption for the sale of their principal residence. A couple of weeks later, the trust sold the40 acres to DCR for $300,000. Again, there was no capital gains tax on this sale, because the trust sold the land for the same price it had purchased it at. The trustee then paid the$300,000 to the Gordons, reducing the amount of the loan from $450,000 to$150,000. During the next year, the Gordons forgave the $150,000 loan to their children’s trust (which required filing a gift tax return, but no tax was due) and entered intoa lease with the trust at a low but reasonable rent, enough to cover the trust’s expenses while keeping down its income tax liability. 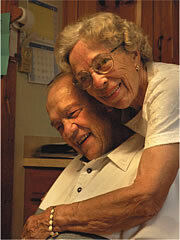 Not too long afterward, Mr. Gordon passed away and Mrs. Gordon moved to an assisted livingfacility. Through their trust, the children own the house, and one child is likely buying out the others and moving in. Though these transactions were complicated and did require a great deal of professional assistance, the Gordons were able to pass on their land to their children equitably, conserve the land they loved, and avoid a potentially significant tax burden.